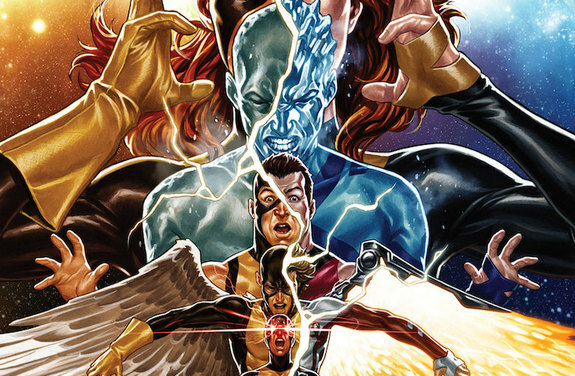 Marvel's five original X-Men are headed toward a story titled Extermination. The series, by writer Ed Brisson and artist Pepe Larraz, was announced by Marvel Editor-In-Chief C.B. Cebulski on Twitter, along with a cover by Mark Brooks. According to a subsequent statement from Marvel, more details on Extermination will be revealed at this weekend's upcoming C2E2 convention, which takes place in Chicago from April 5-8. The announcement will happen during Marvel's True Believer panel, which is scheduled for 12:15-1:15pm CT on Sunday April 8. Entry into the panel requires "Marvel Mastercard ® or Marvel Mastercard invitation, current Marvel Unlimited Plus membership or emailed RSVP confirmation" according to the publisher.